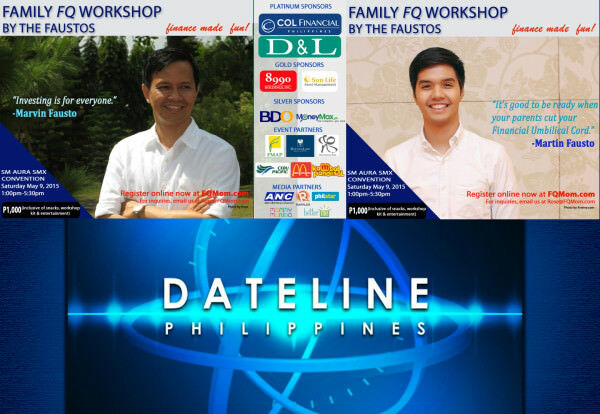 Watch Dateline Philippines on April 26, 2015 Sunday 12:00 noon to 1:00pm. Dateline Philippines is ANC’s longest running newscast. It focuses on news from the country’s more than 7,000 islands tackling major stories of the day from politics, business, international news, sports and entertainment. Marvin and Martin – that’s why it’s M&M 🙂 – will be among the guests to talk about the Family FQ Workshop.